Tina: What was the initial inspiration for Hanging Off Jefferson’s Nose: Growing Up On Mount Rushmore by Tina Nichols Coury, illustrated by Sally Wern Comport (Dial, 2012)? Little did I know that homework, a funeral and a famous stained glass window would begin a journey towards publication that would last almost eighteen years. In the mid-nineties, I attended a funeral for an elderly neighbor at Forest Lawn Memorial Park, a very old cemetery in Los Angeles, renowned both as the resting place of movie stars and the home to many fabulous pieces of art. I had planned to bury myself at the local library after the service to search for an idea for a project I needed to do for a children’s writing class I was taking. But I had never seen the stained glass window of Leonardo da Vinci’s "Last Supper" that Forest Lawn is famous for, so I decided to take a quick hike up to the Grand Mausoleum to see it before I left. In the Court of Honor, the stained glass window took up one whole side of the mausoleum. Along with the select group of the rich and famous who were spending eternity under the window, I discovered something surprising: a small relief of Mount Rushmore tucked away on a lower corner of the wall. The names of Gutzon and Mary Borglum were etched below. 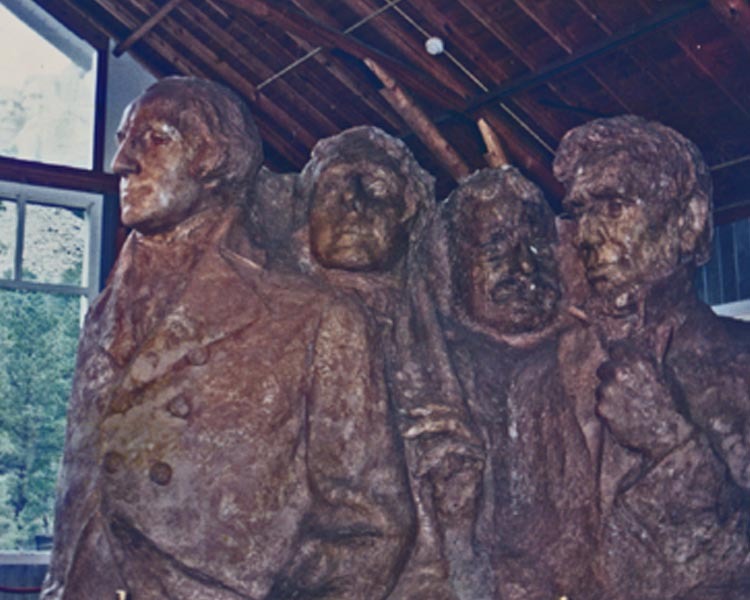 What was Mount Rushmore doing there with The Last Supper, and who were the Borglums? I knew immediately that I had found a subject for my class project. Later, at the library, I found the research about the sculptor Gutzon Borglum and the construction of Mount Rushmore fascinating. And in all the stories of the creation of the monument, one interesting fact came up again and again: the sculptor’s son, Lincoln, had been with his father every step of the way. I brought two different book ideas into class the following week. One was the building of Mount Rushmore; the other was the story of the sculptor’s son. The feedback from my instructor and my classmates was unanimous. Everyone felt I should concentrate my efforts on writing about the son, Lincoln Borglum. Tina: What was the timeline between spark and publication, and what were the major events along the way? I am a trained artist, and writing for children was a new skill to learn. For ten years, I took classes and joined critique groups and worked on this story. At one point I put the manuscript in a drawer for two years. Then at my local SCBWI Writer’s Day in 2005, editor Mark McVeigh of Dutton (now an agent), who had critiqued my manuscript, asked to acquire it. Then for the next seven years the book went through two editors, three release push-backs and a house reorganization that moved the book from Dutton to Dial. It took fourteen years to build Mount Rushmore. It took over seventeen years from that day in my children’s writing class to have a published book in my hand! Tina: Dutton first acquired your manuscript in fall 2005. You were half way through the editing process when your first editor left Dutton back in early 2008. Then the manuscript was assigned to Steve Meltzer. What was your first impression of Steve? My first impression was relief. I had heard horror stories about orphan picture books going to editors who only worked in YA. Steve was a senior editor and had worked in publishing for years. He wrote me a friendly email saying he looked forward to working together. I asked him to be interviewed for my blog and he agreed. I immediately loved him for that. Steve: You hadn’t acquired Hanging Off Jefferson’s Nose. But you were assigned it after the original editor left the house. 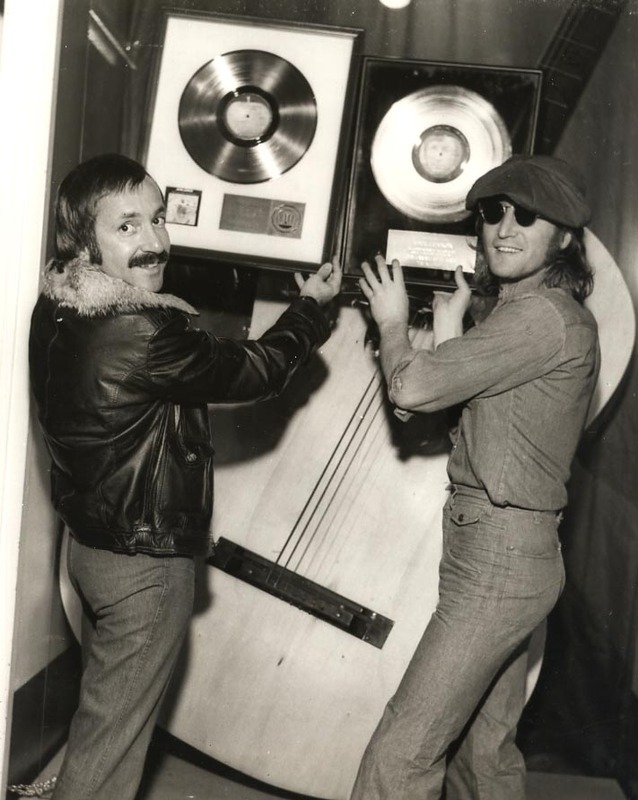 What was you first impression of the manuscript and of Tina? I love nonfiction. I feel that I am a very lucky to make a living reading history. So when my publisher offered me the chance to take on this project, I was thrilled. 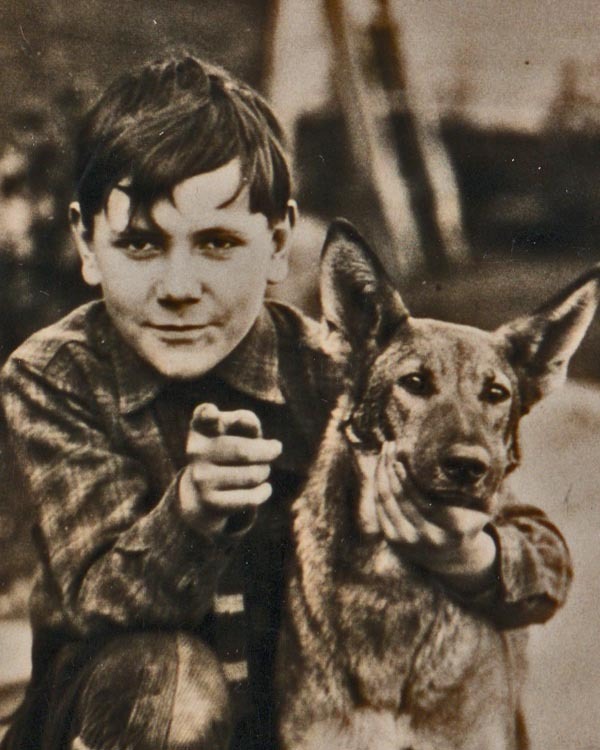 I thought that the story of a boy who finishes his father’s dream in creating a sculpture from a mountain was operatic. Tina’s manuscript was incredibly good. It was a rare example of the editor not having to do much editing. I think Tina was a little surprised when she read my short editorial letter. Steve: How did you and/or the art director come to match Tina’s text with Sally’s art? The credit for that goes to the book’s original editor, Mark McVeigh and art director, Sara Reynolds. All I can say is it was a wise choice. I joined the project after Sally had been signed up. It was a real treat to be able to work with her since she is very selective about projects. Sally used a style that had a '60s nostalgic feel but with very modern updates. Very folksy, which truly matched the text. Tina: The book release date was pushed back one than once. What did you do to promote your under-contract but still unpublished book during that time? I fell into blogging early in 2007 and my blog, Tales From the Rushmore Kid, gave me a platform for my unpublished book and a voice in the children’s writer’s community. I work hard to get interesting content from agents, editors and authors. Many have given me interviews, including Susan Patron, Sherman Alexie and Neil Gaiman. In 2008, my husband, legendary record executive Al Coury (pictured below), received a lifetime achievement award from a heritage foundation in D.C. I didn’t like the video production company they were using for the honorees, so my control-freak self decided to learn how to make one. It was a big hit at the event, and the confidence I gained led me to a produce a new cyber promotional tool, the book trailer. Also in 2010, I applied for and was accepted on the faculty of the SCBWI Summer Conference. That was a dream-come-true for me. Tina: What advice would you give fellow writers on how to get published? If you haven’t done so, join the SCBWI. Everything you need to get published is in this organization. Presentations on craft, critiques and workshops will hone your manuscripts. The focus is always on the quality of the manuscript. Many editors and agents critique for SCBWI events, and it is a great way to get your manuscript noticed. 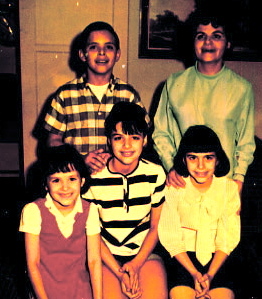 Tina is the youngest child. Today you need a body of work to get an agent and agents are the new readers, so make sure your manuscripts are perfect before submitting to one. Start blogging and commenting on kidlit blogs. There is tons of information out there, and it’s a wonderful community. Think twice before you self publish, though it is cheap and tempting. At one stage, I thought about doing it, but I am glad I took the traditional route. It is easy to lose all perspective on one’s manuscript. It was a difficult journey to publication but it has been a collaborative one. I had the creative force of two editors, art directors, designers, an illustrator, two copy editors, a publicist, and a marketing and sales staff. I can’t imagine what the book would have been like if only I wore all those hats. Tina: What advice would you give mid-list authors on promoting their books? Authors can do an amazing amount. Do one hour each day of cyber marketing. Besides Facebook and Twitter, it is important to blog. Blogging brings up your Google numbers. Do an Anniversary Blog Tour of your book. Research a new audience for your tour. Unlike a new release that relies on book launches, signings and hype, backlist books need to tap into a whole new audience, and the web is full of opportunities. Surf the web for blogs that feature festivals, reviewers or producers of your “hook.” All books have a hook, whether it is apples, cowboys or teen romance. Do a book trailer and kick off your tour with it. Book trailers are fairly new and most backlist books don’t have them. If you do have one, there is no law not to have another. The more cyber information out there, the better for your book. Tina with illustrator Yuki Yoshino and authors Greg Trine and Lin Oliver. Steve: What suggestions do you have for mid-list authors interested in working on their own and with their publisher to best promote their book(s)? Go anywhere and everywhere to promote your book. Be it a library, classroom, bookstore, online…anywhere. Make something fun for giveaways so that people will remember you. Write articles for any magazine, newspaper or blog to promote your work. Do it all for free, in the end it will pay off. Tina: Name one thing you learned from Steve. Lots about writing and revising, of course, but the thing I most appreciate was learning that being friends with my editor is just as important as being colleagues. Bleeding over revisions and dealing with the publication pushbacks was so much easier to handle with my buddy, not just my editor, to hold my hand. Steve: Name one thing you learned from Tina. Al presents John Lennon with a gold record. Besides an incredible Paul McCartney story? Seriously, the one word I would use to describe Tina is “generous”. She is generous as a writer since she always gives her best and is a great researcher. She is generous as a blogger since she is wonderful in promoting other people’s work. She is generous as a promoter always giving time to help her publisher. However, she is incredibly generous as a friend; even offering to take on mom responsibilities when it looked like my daughter was going to take an internship in LA. Luckily, she dodged that bullet. She is just great and has a bright writing future ahead of her. Enter for a chance to win one of five first-page critiques from Penguin editor Steve Meltzer. Picture books through YA. Fiction or nonfiction. Eligibility: international. To enter, comment on this post and/or ask Tina Nichols Coury a question. Deadline: May 15. 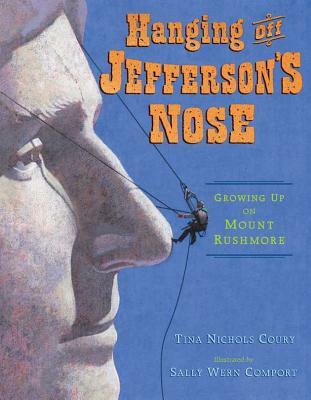 May 7: Hanging Off Jefferson's Nose: Book Trailer features Jack Conrad Lyrics from Darcy Pattison at Fiction Notes; comment raffle prize: a book trailer from Tina's Trailers. May 8: Tina Nichols Coury Celebrates America from Jewish Books for Children with Author Barbara Bietz; comment raffle prize: a Kindle. May 9: Interview with (Tina's) agent Mark McVeigh from Greg Pincus at Gotta Book; comment raffle prize: a 15-minute, 10-page manuscript critique via phone with Mark. May 10: Interview with Illustrator Sally Wern Comport from Elizabeth O. Dulemba; comment raffle prize: a Nook and original art from the book. May 11: Interview with Dutton Editor Steve Meltzer and Tina from Cynthia Leitich Smith at Cynsations; comment raffle prize: five first-page critiques by Steve (see details above). Tina Nichols Coury is an author, award-winning multi-media artist, blogger, vlogger, producer of book trailers and all around Renaissance woman. 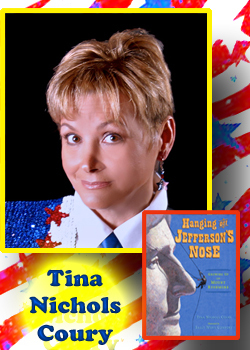 In character as “The Rushmore Kid”, she visits schools across the United States to present her popular "Why I Love America” program. 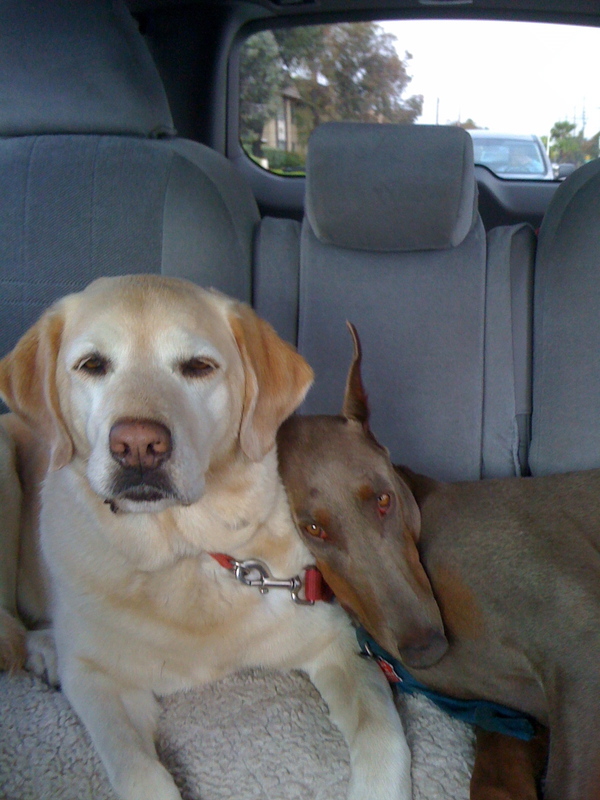 Tina currently lives and works on the beach in Oxnard, California with her husband Al, their Doberman, Honey, and the Keyboard Kitties, Toulouse and Monet. Don't miss her blog, Tales from the Rushmore Kid. Steve Meltzer has been in publishing industry for over 25 years and has served in a variety of positions and has been on many committees. Steve is the editor of many books for young readers, including John Madden’s Heroes of Football: The Story of America’s Game; the Sydney Taylor award-winning, Hanukkah at Valley Forge by Stephen Krensky, illustrated by Greg Harlin; the Every Cowgirl series by Rebecca Janni, illustrated by Lynne Avril; The Worst of Friends by Suzanne Tripp Jurmain, illustrated by Larry Day (an SLJ Best Book of the Year); Useful Fools by C.A. Schmidt (a Booklist Best Book of the Year) and The Boy with Pink Hair by Perez Hilton, illustrated by Jen Hill. His series include Encyclopedia Brown by Donald J. Sobol and the Dutton Winnie-the-Pooh books. Steve also is an adjunct instructor at New York University. Love the title and cover art! I have a nonfiction project I'm working on as well, and the journey is never as fast or straightforward as we hope! My son was asking me about Mt. Rushmore the other day, so we'll definitely be looking for your book. Wish you huge success! What an incredible story-within-the-story -- with great advice, to boot! Thanks for sharing! Tina, congratulations on finally seeing that project through, after so many years! I admire your persistence and wish you all the best! Enjoyed the advice about writing and getting published! Have so enjoyed your blog tour, Tina! And your stick-to-it-ness has definitely inspired me! Thanks for the interview, Tina, Steve and Cynthia! I love the fact that getting Tina's book published took longer than it took to build Mt. Rushmore. Now there's a story to inspire hope! Wonderful interview! Tina is remarkable in so many ways. The photos are great, too! Thanks for an interesting and informative interview. I wish I'd taken Tina's advice about self-publishing seven years ago, but unfortunately I didn't! Now I have a self-published all-ages novel, a revised and better-edited manuscript of same, two more completed YA/adult crossover novels, and I'm in a quandary. Is there any hope for getting that self-published book looked at by an agent? If so, what would be the best way to go about trying? Tina is such a positive force in the world and I am so excited for her. I look forward to getting this book and many more from her in the future. I am interested in Ms. Coury's thoughts on a debut author publishing with a small pub company without an agent. As she recommended the traditional route and to think twice about self publishing, do you also recommend thinking twice about publishing with a new, small company? Great interview. Everyone's journey to publication is different. I'm so glad Tina stuck with it. I look forward to reading the book! What a terrific post! Thanks Cynthia, Steve, and Tina - I loved the perspectives from both sides of the editorial desk. Tina, your story is a real inspiration (and a testament to the perseverance required in this biz). Again, congrats and Happy Launching! What a fascinating story! Congratulations! What are you going to do next? Wow, what a wonderful and inspirational interview! Tina, congratulations on your book finally coming to print. I can't wait to read Hanging off Jefferson's Nose. Congratulations, Tina. I'm so proud of you. You deserve the positive forces that the publishing world is sending your way. For so long you've helped other writers, including me, through your blog. It's time for the chocolate dance. Put them all in manuscript form and send them to an agent as unpublished. Agents love a body of work and they don't need to know they are self published. It is so much work to do it on your own. As always, I enjoy the story behind the story, and this one is pretty incredible. Congratulations, Tina! This is a great publication story, Tina. Thanks for sharing it, Cynthia. I don't want to get in the way of Tina here, so I'm just quickly jumping in to say thanks to all who read and (so far) cheered her interview and success. 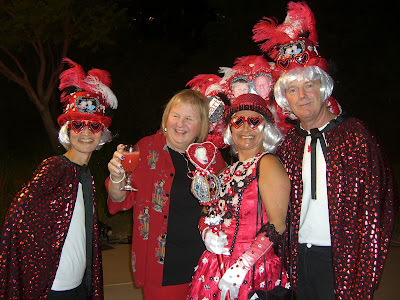 On finding an agent after self-publishing, Mary why don't you send that question to another Mary, Mary Kole, a literary agent at http://kidlit.com/ She often fields issues of interest to the professional children's-YA writing community. And Jess, my recommendation on deciding whether to go with a new, small company is to really do your homework. Who are the people behind it? What experience and resources do they have? What are their immediate plans and long-term goals? You might also ask a publishing lawyer to look over your contract before signing. Thanks for the interview and giveaway Cynthia! Great informative interview! Thanks. I have a question for Tina: Is nonfiction your true love or do you plan to add fiction to your repertoire? If so, for what age group? Whoops, that's two questions. I have been accused of being an overachiever. It is so fun to follow your blog tour! I'm learning so much in the process. You've really found some amazing ways to promote your book, and made long lasting relationships in the process. You go girl! Plus it was nice running into you at our local independent bookstore, Mrs. Figs Bookworm, the other day! Wow, congratulations Tina! After so much time spent on this books path to publication, what are you working on now? Did you start other project while waiting for this book to come out? I'd love to know more about Mary Borglum. Is there enough to her story for sequel perhaps? Great interview - love the emphasis on teamwork and camaraderie throughout your career. Please toss my name in the hat for a first page critique from Mr. Meltzer! Cynthia, great to discover your blog through Tina. Tina, something I take from your wonderful story is the importance not only of persistence, but also of confidence. I have been quietly following your posts - especially your short videos of tips from authors - for quite a while now, and I am inspired by the way you have established areas of expertise in our professional community while nurturing your first book along its long path to publication. Thanks for all the tips along the way, and especially thanks for the inspiration. Incredible information and insight through these interviews! Thank you Cynthia, for including Steven in the mix with Tina. You give support to those of us writing picture book nonfiction! Hi! This is a question for Tina: Who helped you with your Curriculum Guide? Do you have any suggestions for those with stage fright? I would love to get out there and promote myself but I get all tongue tied when talking to public. I liked what Tina shared about being friends with your editor. I imagine that not all editors/writers want that kind of relationship, but it appeals to me for sure. Thanks, Cynthia, for producing such a great blog and website. Plus, I love your books. Great, wonderfully candid interview! I especially appreciate your advice for promotion -- especially since I wouldn't be hearing about this book otherwise! Lovely post! I'll definitely be checking this title out soon! Contgrats on your book. I like the picture of Lincoln Borglum and your cute dogs. What a great post. It puts my trip to Mt. Rushmore in a whole new light. Thanks for sharing. i agree that the best thing you can do as a children's writer is join and actively participate in the SCBWI. best decision i ever made. the fellow writers in my local group are the closest friends i have and they've helped me become a much better writer. The giveaway is now closed, and the winners have been notified and announced. Thanks to all for your interest and enthusiasm! Stephanie asked about what to do about stage fright. Really, practice is the key. I would recommend joining your local Toastmaster's group. That worked really well for VCFA students rehearsing for their graduate lectures.